CD play modes include Program/Shuffle/Repeat. Digital AM/FM tuner CD-R/CD-RW playback. 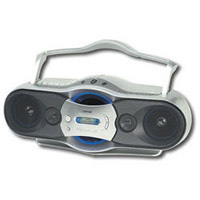 Bring your iPod or other MP3 player and enjoy your tunes on the go!